Beards make you look manly, more attractive & feel as though you’ve achieved something even if you haven't done anything that day. 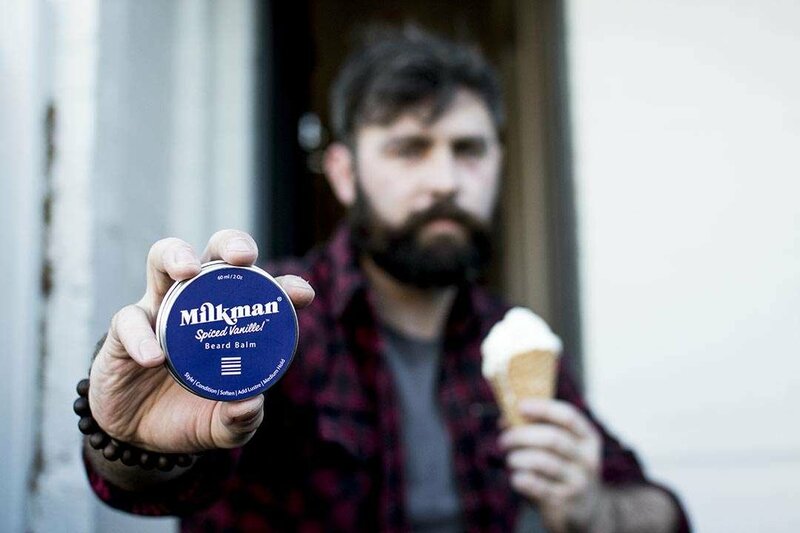 For getting the best out of your beard, there's nothing like the styling, conditioning & fragrancing capabilities of Milkman’s “Spiced Vanille™” beard balm. It's light natural hold helps control the shape of your beard whilst coating & protecting the beard hair making it feel soft & healthy. Suited for medium to large beards. How do you use this stuff? Scrape out a small chunk of balm, rub with the palms of your hand. This will rapidly dissolve the balm. Then stroke or brush through the beard first working up against the grain & then patting it back down. Add a little extra or use our firm hold moustache wax to pin down any stubborn "sticky outy" bits of hair. If you want to grab a cool new brush click here. 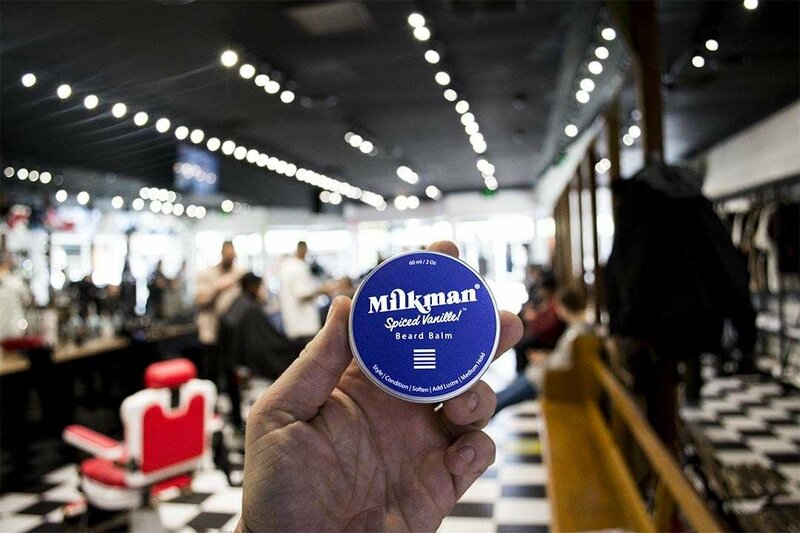 Beard balm is one of our most popular products used & stocked by barbers. When you feel, see & smell the difference, you can see why the professionals use our beard balm as their "go to". Bees Wax, Cocos Nucifera (Coconut Oil), Simmondsia Chinensis (Jojoba) Seed Oil, Cannabis Sativa (Hemp) Seed Oil, Argonia Spinosa (Argan) Oil, Persea Gratissima (Avocado) Oil, Camellia Sinensis Leaf (Camellia) Oil, Olea Europaea Fruit (Olive) Oil, Copernica Cerifera (Carnauba) Wax, D-alpha-Tocopherol (Vitamin E), Parfum (Fragrance), Glycine Soja Oil.